Trust Group Three to provide the condominium management solutions you need to draw the most value from your real estate investment. What makes Group Three the best choice for condominium management? It's our experience in providing professional and responsive service for over 30 years in the property management industry. 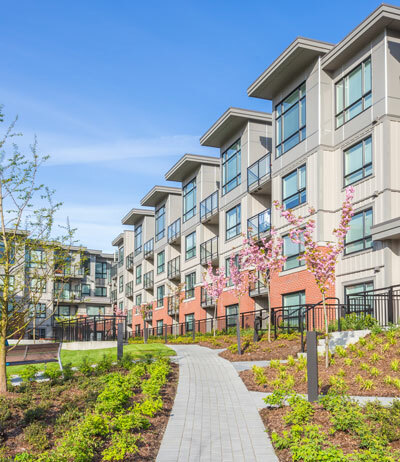 Whether you're part of a new development, existing condominium or even a homeowner's association, our team offers the comprehensive solutions your corporation has been looking for. We are committed to creating valuable solutions, meeting our clients' needs and maximizing the value of your organization. If you're looking for a condo property management company that will give you unparalleled service, look no further. With Group Three, you're in very capable hands. Our team’s combined years of experience, superior ethical standards, professional practice, and commitment to delivering quality service guarantee successful management of your condominium property. Group Three will be your reliable partner in condo management, constantly working with you and making sure that you're able to face any challenge with confidence and efficiency. Our main goal is to provide our clients with the best solutions for their needs, so they're able to optimize the value of their assets. 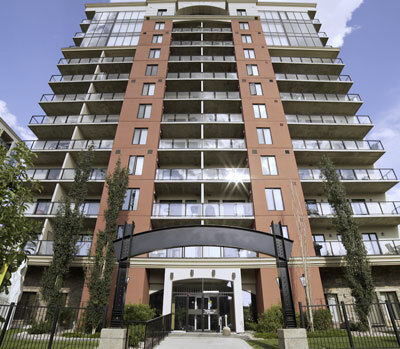 After more than three decades of condominium management, Edmonton clients whose properties we have managed can attest to the exceptional service that we provide. As every property is unique, our team sees to it that we always provide individualized service to each client by maintaining constant communication with our condominium boards, owners, tenants, and developers. Our approach to condo management involves constant communication and coordination among our multidisciplinary Management Teams, consisting of a Property Manager, Property Administrator, and a Property Accountant. Our team will take care of your condominium’s specific needs so that you can focus on the more important things that will raise your property’s values and returns. Group Three is your best choice when it comes to professional and dependable condo management. Edmonton’s properties are in good hands, being managed strictly according to community standards, property by-laws, the Residential Tenancy Act, and the Alberta Condominium Act. Our multidisciplinary teams undergo training and educational programs regularly to keep us up to date with the latest information and skills needed for successful condo property management. Edmonton clients can rest assured that our well-trained and experienced professionals have their best interests in mind, and are committed to delivering property management services that are nothing short of excellent. If you're looking for a reputable condo management company, Edmonton’s trusted team is here to help improve the way your property is managed and to ensure its success. We look forward to building a lasting partnership with you. For inquiries or to schedule an appointment with our team, please contact us at 780.641.0222.